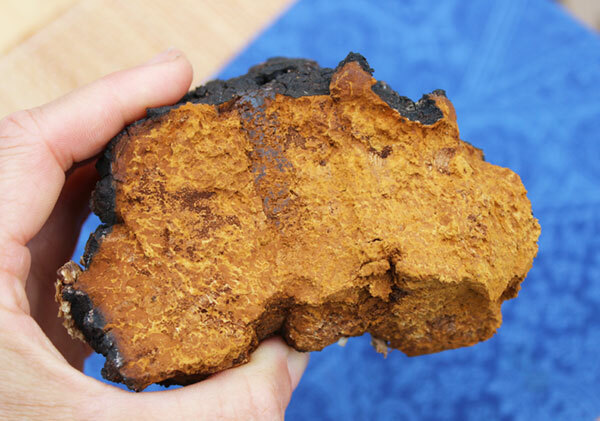 Chaga, Inonotus obliquus, is a rather unusual looking medicinal mushroom species that's not your typically polypore but one that grows as a black sclerotium or conk on the side of living trees. The birch tree, being its preferred tree of choice, is believed to hold the most nutritional elements needed for the mushroom's growth and condensed amount of beneficial myconutrients. Inonotus obliquus has been a widely utilized ethnobotanical species in Russia, Scandinavia and Baltic regions throughout human history. Naturally growing wild in colder climate zones of the Northern Hemisphere, including Canada and North America, it is highly adaptable to environmental extremes which encourage the release and concentration of immune responsive compounds, antioxidants and various phytochemicals needed for its continued survival. 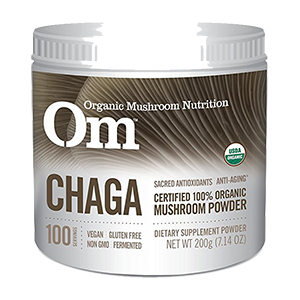 Consumed as a decocted tea, hot water extract or liquid solution, the mushroom is considered a nourishing "superfood" and medicine for its transferred immune-modulating and protective influence. 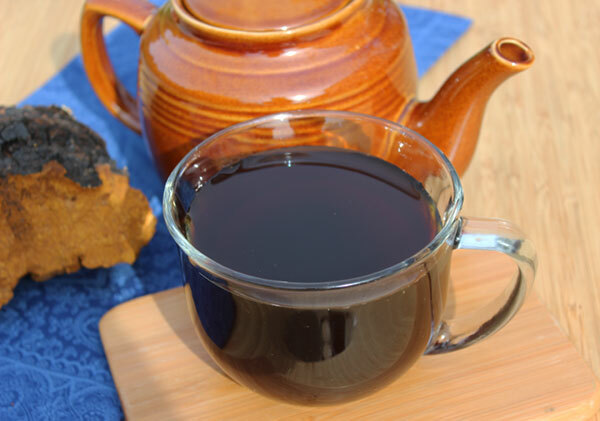 Dark, rich chaga tea is a delicious tasting hot morning beverage with a bitter-sweet full-bodied flavor and makes a great coffee alternative if you're trying to reduce caffeine consumption. Or likewise, powdered extracts can be added to coffee, teas or elixirs. 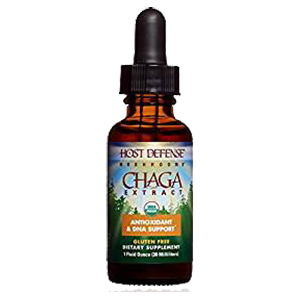 Here on this page, we will discuss chaga-specific nutrients and how this profound species can serve as a preventative healthcare approach to support long-term immune system functioning and well-being. The Inonotus obliquus mycelium, growing as a hard cork-like mass, works in relationship with the immune defenses and lignins of its host tree. 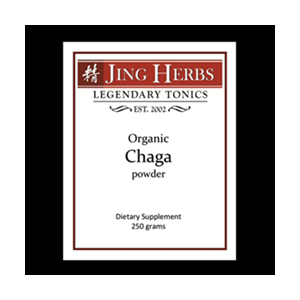 Over a period of time, it builds up potent compounds that are edible to humans and likewise identified to encourage healthy immune functions. One of the constituents created are the class of polysaccharides called beta-glucans. 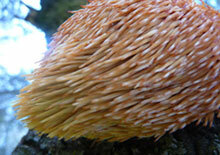 Also found in other medicinal mushrooms, like reishi, coriolus and maitake, these are highly structured molecules with a developed length and frequency of branching side-chains. 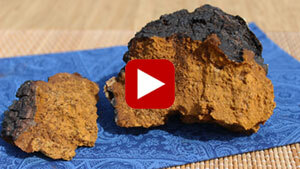 Chaga mushroom needs to be heated via hot water or alcohol to release its beta-glucan content. It can be consumed as a daily tea or extract to help restore and maintain optimal immune system responses. Frequently called the "king of mushrooms", Inonotus obliquus is a hardy fungal species adaptable to growing in extremely cold climates commonly reaching -40 °F (-40 °C). These conditions help to produce certain constituents like triterpenoid saponins, similar to those present in tonic herbs like gynostemma, ginseng and astragalus. 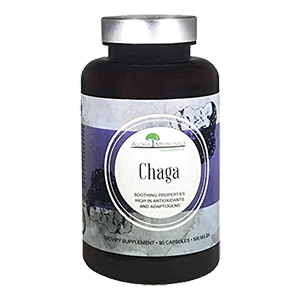 Regular use of adaptogens, like chaga, are proposed to improve the body's ability to build resistance to stress, trauma, anxiety and fatigue as well as environmental pollutants we are all invariably exposed to in our daily lives. 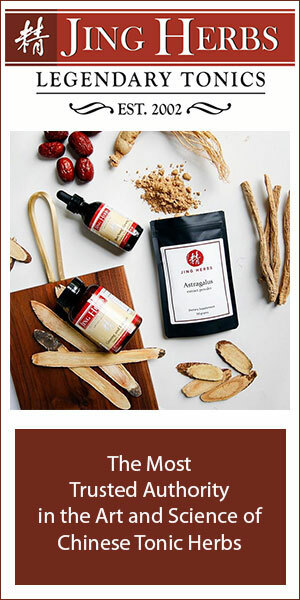 In this sometimes overwhelming fast-paced modern world, we feel that dietary adaptogens can be extremely important therapeutic superfood allies for maintaining long-term health over the course of a lifetime. 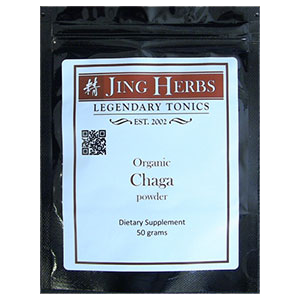 The best types of chaga to consume for highest benefits are WILD varieties that have matured to at least 5 years or older. This is because the adaptogenic compounds slowly build up potency and are developed through seasonal exposure to extremely cold temperatures. Antioxidants are molecular substances that can be naturally created by the body or acquired through dietary sources. They are known to be one of the key factors that control how fast humans age. Internal production of these micronutrients can decline significantly as we grow older, so it becomes especially important to increase consumption through the foods we eat as we move along in chronological years. Antioxidant-rich food sources are valued for their ability to shield the body against the damaging effect of "free radicals" and protect against damage to cellular tissue and DNA structure. 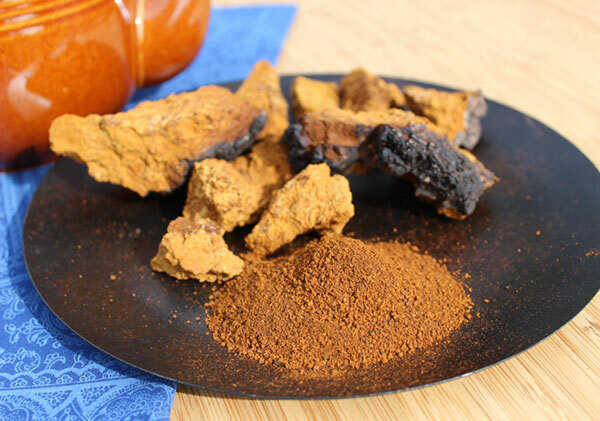 Chaga is known to have one of the highest amounts of enzymatic and non-enzymatic antioxidants of any plant-based food or herb (*), a substantially dense array of which are concentrated into its black and rusty colored pigmentation. One of the main active components unique to Inonotus obliquus is its high concentration of betulinic acid. This, along with lupeol, is a metabolite of betulin, a white powder-like material common to many birch species that holds powerful antimicrobial attributes. 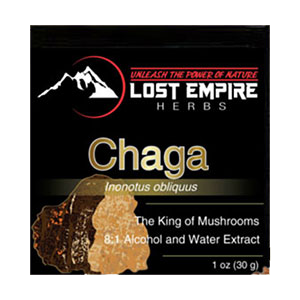 Chaga extracts these triterpenes out of the tree bark, condensing a significant portion into its black sclerotium and into a form digestible by humans when prepared as a tea or tincture. 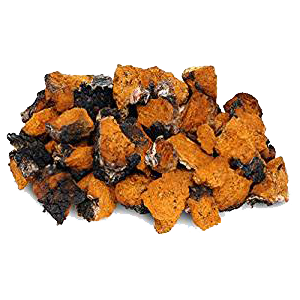 We like to buy whole one-pound chaga chunks for herbal preparations because they also come with a good portion of this potent burnt-like outer layer. 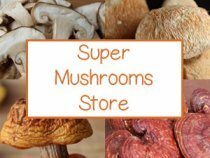 Most quality suppliers, however, will always use mushrooms with a certain percentage of this exterior crust for highest beneficial nutriments, like betulinic acid. 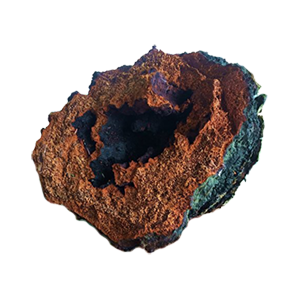 Two other antimicrobial compounds found in chaga include inotodiol, lanosterol as well as lanosterol's metabolites, ergosterol and lanostane. The term antimicrobial makes reference to four main subcategories: antiviral, antifungal, antiparasitical and antibacterial. 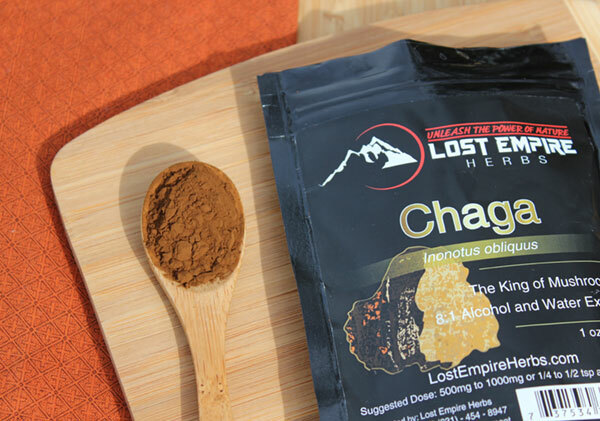 From our personal experience, we have found the consumption of chaga tea to be a profound therapeutic ally for combating potential latent viral infections that can, over time, disrupt our innate immune responses and increase the risk of certain autoimmune diseases. 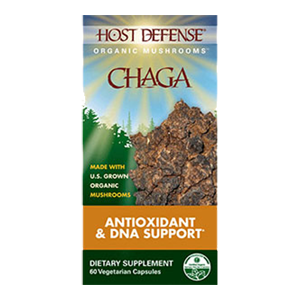 Regular consumption of the mushroom extracts or teas may also be able to greatly assist in eliminating the overgrowth of fungal yeast strains, like candida, in the GI tract. Because the intestinal tract works with the immune system via the "gut-associated lymphoid tissue" to make immune cells, maintaining a healthy diverse community of yeast and bacteria in the colon plays a major role in human immune function. 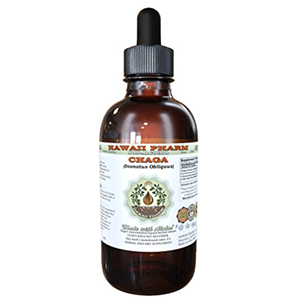 Chaga's anti-inflammatory properties have also been traditionally used as a medicinal folk remedy for gastrointestinal disorders like ulcers, colitis and gastritis. 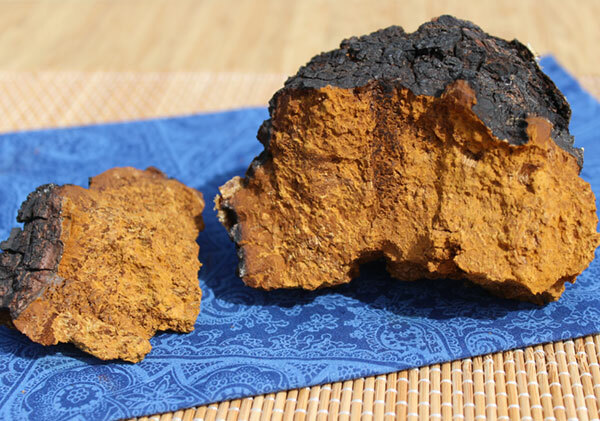 Also found in the crusted charcoal-like layer is the natural pigment called melanin. The word melanin in Greek means "black or dark" and is the pigmentation that gives the eyes (pupil), skin and hair their color. Also found in the nervous system, adrenals and pineal gland, it is a nutrient produced by the body, but can become depleted with stress, genetic triggers and age. One of the top claimed health supporting properties of melanin uptake is that it helps to shield the skin from UV sun damage and radiation exposure. It is believed to do this by dissipating a large percentage of radiation as heat via a process known as "internal conversion", an essential quality for providing photoprotection. 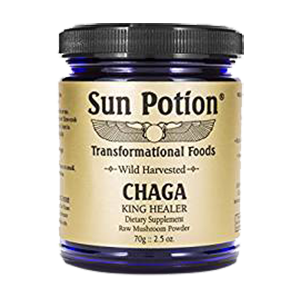 For this reason, many leading health experts consider internal consumption of chaga tea and preparations to be useful as a natural sunblock and radioprotective supplement. While it is an edible mushroom, it is not typically ingested like culinary mushrooms due to its tough cork-like texture. 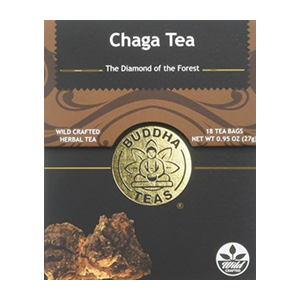 Most people, however, enjoy the rich taste of chaga tea as it has a pleasantly sweet, earthy and slightly vanilla-like flavor due to its vanillic acid content. Although raw powder or tea bags can be simply infused into hot water, for highest health-enhancing effects it is best to simmer it in water for a period of time. When using powder, decoction brew time is reduced compared to large pieces. When using powder, because there is more surface area, only 20-30 minutes simmering time is needed. Larger conk chunks can be brewed on low heat for 1-8 hours, depending on the size. Lowholenger simmering times are believed to produce a stronger decoction and release more beneficial myconutrients, like triterpenes and beta-glucan polysaccharides. Decocted chunk pieces can be reused to make more tea as they still contain these valuable components. When infusing straight ground powder into hot water, remember that it doesn't dissolve and will need to be strained out. 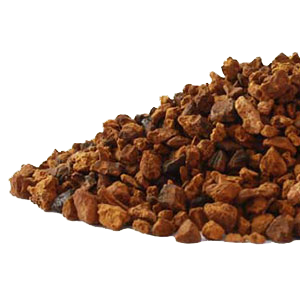 Inonotus obliquus is also prepared as an extract, available in capsules, a bulk powder or liquid solution. Quality products frequently use a double extraction technique or a dual alcohol/hot water process to concentrate nutrients extracted. Capsules or liquid drops can be a more convenient option to making teas, but remember that bulk powdered extracts can also be added to hot water for an instant tea or coffee-like beverage. Because they are condensed they tend to have a more bitter flavor. 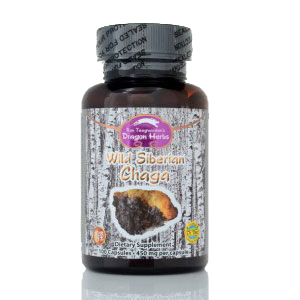 Wild sustainably harvested chaga, in our opinion, is better than organic cultivated varieties which invariably will lack the some of the wild myconutrients. 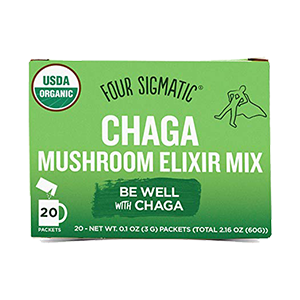 Although medicinal mushrooms, like chaga, are found to be safe to use on a regular basis, we recommend that you consult a qualified healthcare practitioner if you are pregnant, nursing, taking precoffeescription medications or have a serious health condition.